Tobias Wüst and Daniel Schröder complete the prequalification for the World Championship and the European Open in first place. And that with a clear lead. In the case of Tobias Wüst and Dörte it is 71 points over the second place of Bozena Schröder and Cap. The situation is similar in the medium qualification. There, Daniel Schröder and Cashew also secured first place with a big cushion of 74 points. After the two qualifying weekends, the participants of the European Open are now also known. After a brilliant start already on the first weekend, Daniel Schröder did not let anything burn in the past two remaining days. With this huge lead and consistent performance, the team underpinned the good shape. As reigning winner of the European Open last year in Austira, is he already set for this year. A bit in trouble came Silas Boogk and Beam. In the meantime, he even had to fear for a place among the top 18. On the second weekend, the two recovered slowly, but have still not returned to their usual form. With rank 7 in the end, he saves the participation in the European Open. Second of the prequalification is Johann Weberling with Momo, a half-breed and therefore not eligible to start at the World Championship. Maurice Münch is third with Sheltie Twix. Nicole Kelpen also made it into the team of the European Open with Kite with the 8th place. Not in the medium-team is Bozena Schröder and Puck. She also qualifies sovereign, despite considerable distance to Tobias Wüst with Cap for the European Open 2019 in the Netherlands. Everyone had no chance against Tobias Wüst in this qualification. Third is Maik Brands with Sissy, both of whom drove to the World Championship last year. With the third place in addition the definitive European Open participation is safe and the chances of a spot in the national team is still intact. Fourth is Lizandra Ströhle with You. The European Open Team will be rounded off by Jule Ullrich, Sina Just in double and Saskia Laudenberg. Now, the best 18 teams of the heats have to concentrate once again on the final round for the national team on 17 to 19 May in Dortmund as part of the Hund&Katz exibihtion. 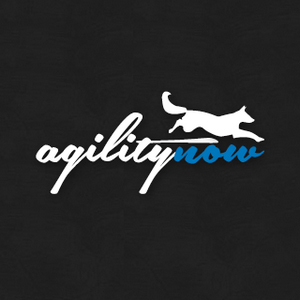 agilitynow.eu will also keep you updated on the remaining World Championship qualification.